For the second year in a row, Idaho has made the list of fastest growing states in the nation. 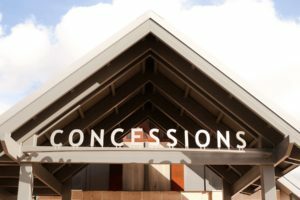 In 2018, Forbes called Meridian, Idaho the fastest growing metro area in the entire U.S. Much of this growth is owed to the conveniences of the Treasure Valley, such as the large number of parks and recreation options. The abundant job opportunities, food choices, year-round outside activities, and easy access to hundreds of acres of parks are the reason natives have stayed and many have relocated here in the Treasure Valley. Each of the monumental parks—like Ann Morrison, Kathryn Albertson, and Julia Davis—were founded on a story. One park, Julius M. Kleiner Memorial Park in Meridian, is a 60-acre park situated directly east of The Village at Meridian, nestled peacefully away from Fairview Avenue and Eagle Road. The park has an interesting story because of the Idahoan it’s known for. Julius Kleiner was born on October 11, 1892, in Russia. He came to the United States in 1916 as an immigrant with a college diploma. Although he could speak three languages, English was not one of them. In March of 1917, Julius found a job as an office clerk for Commercial Creamery Company of Spokane. Later, Henningsen Produce Company, the parent company pf Commericial Creamery, transferred him to Butte, Montana. There, Kleiner was married to Emma Weinberger on August 1, 1919. Kleiner came to Caldwell in 1923 as the director of Central Poultry Corporation obtained the plantation after the death of their proprietor in 1927. 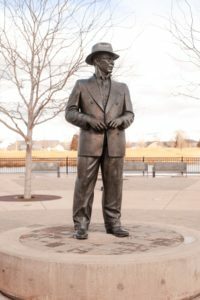 In 1929, he settled down in Nampa. He had become the owner of Nampa Creamery Company for several decades. He possessed quite a few companies in Idaho and Oregon but sold all of them except for J.M.K. Farms. In 1955, Kleiner was appointed a part of a 12-man agriculture delegation to the USSR. He was active in his community, donating money and time. He passed away in May of 1972. 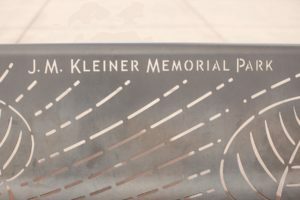 Julius M. Kleiner Memorial Park in Meridian was built on the land that he farmed before his death. The park has a group shell and ground amphitheater; 2 spacious picnic shelters along with three smaller shelters and tot-lots; a huge recreation area with boulder style climbing walls; playground equipment; water play; bocce ball, volleyball, tennis, basketball, disc golf; a concession stand; tons of open area; a lake complete with fishing docks; a branch library and senior center; 3.3 miles walking trails; plus a grand promenade and memorial plaza to function as the core of Kleiner Park. There is also a tribute statue to Julius Kleiner and his son, Gene, who donated the land. It is a beautiful park for families, children, and couples to visit. You could even go by yourself and just enjoy the vibrant beauty. You can play on the playground, go for a walk, play basketball and other games, have a picnic, and so much more. Kleiner Park adds so much to the Meridian community. This is what makes the Treasure Valley so inviting. All are welcome to take on the endless opportunities the cities have to offer. And the community is a selfless, serving, and safe place to live, recreate, and grow.